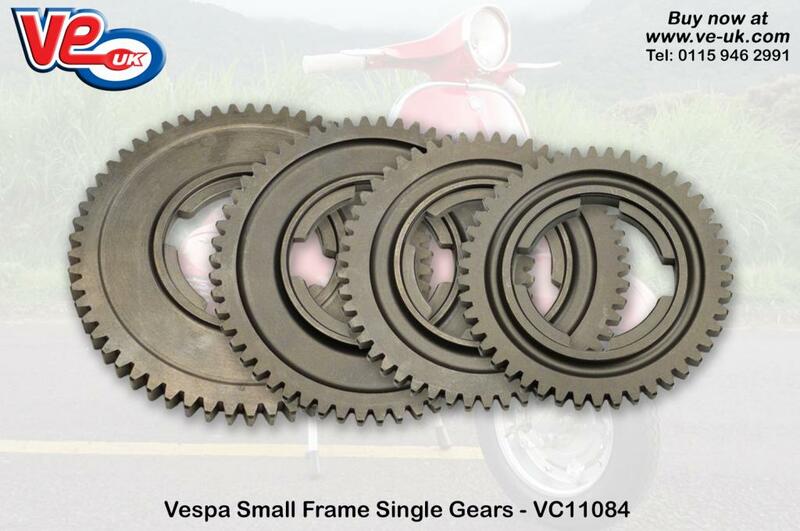 Vespa small frame owners looking to replace worn or damaged gears in their late 4 speed gearbox can now obtain single gears from VE (UK). Previously only available as a complete gearbox kit (VC11084), the new range of replacement gears are suitable for machines fitted with a 50.2mm gear selector. Manufactured to OE quality in Italy, the gears are produced from hardened steel to offer a long lasting replacement. This entry was posted in Vespa parts. Bookmark this page.